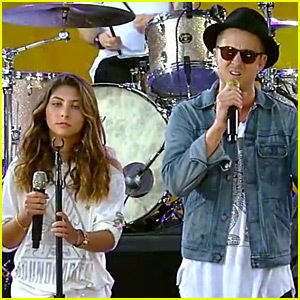 Toni Cornell, the 12-year-old daughter of the late singer Chris Cornell, performs an emotional tribute to her dad alongside OneRepublic on Good Morning America on Friday (August 4) in New York City. 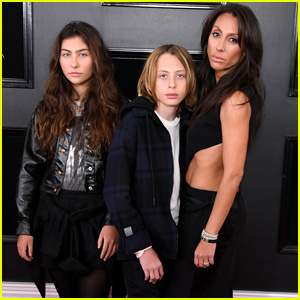 The performance was also a tribute to Chris‘ longtime friend Chester Bennington, who passed away last month on what would have been Chris‘ birthday. 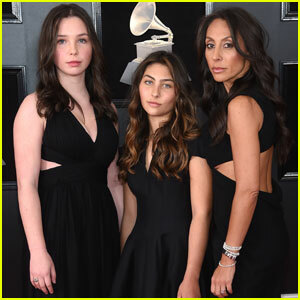 “It’s an honor to perform this for my dad and Chester and to sing for them,” Toni said. 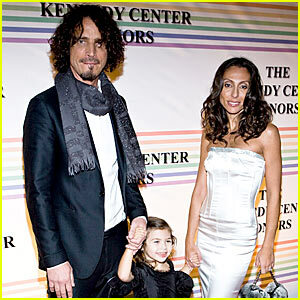 Chris Cornell (in John Varvatos) is accompanied by his cute daughter Toni, 4, and wife Vicky, at the Kennedy Center Honors at the Hall of States inside the JFK Center for the Performing Arts on Sunday in Washington, D.C.
At the ceremony, the 44-year-old former Soundgarden frontman paid tribute to English rock band, The Who, by performing their hit song “Won’t Get Fooled Again”. In its 31st year, the Kennedy Center Honors recognizes honorees for their lifetime contributions to American culture through the performing arts. The event will be telecast on CBS December 30th at 9PM ET/PT. Cornell‘s new album, Scream, was produced by Timbaland and drops early 2009.